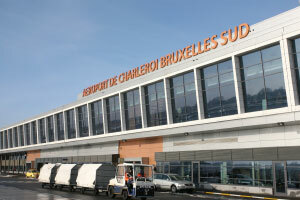 Brussels South Charleroi Airport handled well over six million passengers in 2014 and is targeting around nine million by 2017. 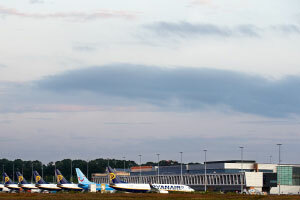 Additional terminal capacity is being planned to cater for this expected growth. Fast and easy accessibility – dense highways network, no traffic jams, large shuttle offer to major cities in Belgium (Brussels, Gent, Bruges, etc), as well as Lille (France) and Luxembourg. 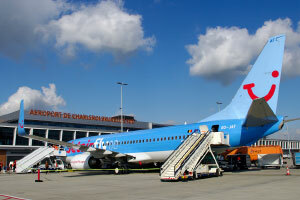 High operational performance – 25-minutes-turnaround for aircraft type B737 and A320. 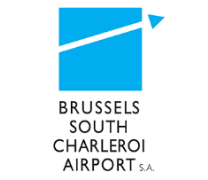 Flexible airport – ‘Do It Yourself’ services; handling made by Brussels South Charleroi Airport Staff. 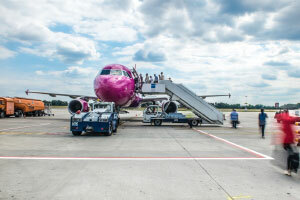 No Stress Airport – Fast access for passengers and airlines – 12 minutes from the car park to the aircraft (passengers), eight minutes from the runway to the aircraft parking lot (airlines). Strong economic potential in Belgium (biotechnology, automotive sector, pharmaceutical, agro-food sector, aerospace, ICT, environment, transport, logistics). 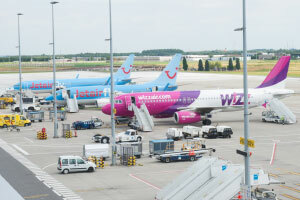 Jetairfly, Ryanair and Wizz Air are already taking advantage of the airport’s fast and efficient facilities. Turnrounds of 25 minutes for A320 and 737-type aircraft are the norm. 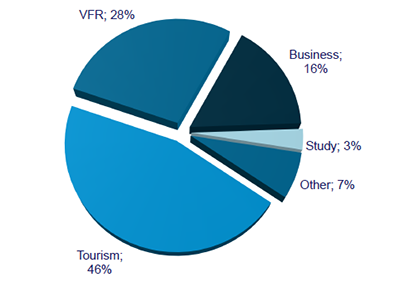 Marketing investment for all new airlines, operating to/from CRL, or new routes. Communication and marketing action plan. Potential partnership with regional/local/foreign tourism offices. Airport – liaison between airline and targeted communities, tourism boards, etc. The single terminal includes restaurants and cafés, a bookshop, ATM, Currency Exchange Office and a Duty Free Shop. 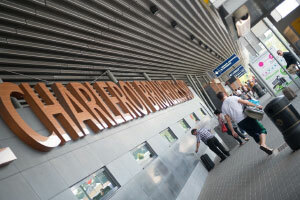 The airport’s smart, modern terminal was opened in 2008 to handle the rapid growth in passenger numbers. Before 2002 the airport had handled less than one million passengers per annum. 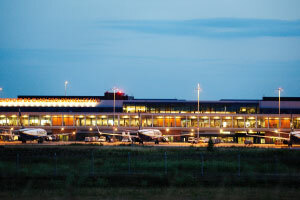 In 2004 the airport passed two million passengers and this had virtually doubled to almost four million by 2009. 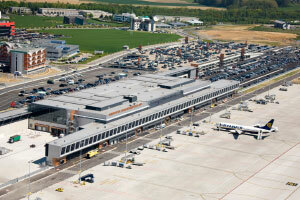 In 2013 the airport processed 6.8 million passengers. 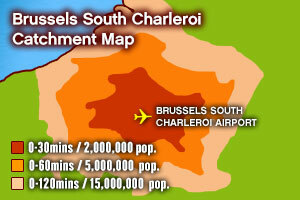 Brussels South Charleroi Airport is going to increase its surface, as well as its capacity in terms of customer numbers. 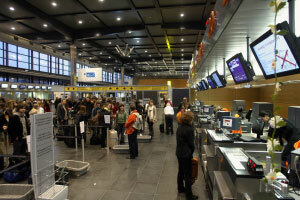 By 2017, the airport is aiming at welcoming more than nine million passenger per year. 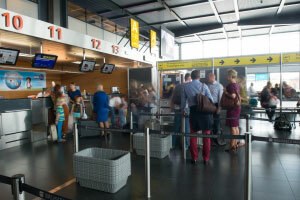 To do so, an investment plan estimated at between 15 and 20 million Euros has been made to build a second terminal, connected to the first one, with additional check-in desks, security checkpoints, gates and baggage claim areas.